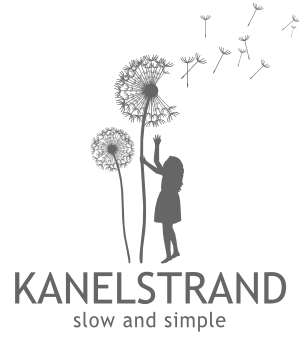 Kanelstrand: Meet the Awesome Kanelstrand Sponsors! Welcome to all new and returning sponsors! This month we have so many talented and amazing artists on Kanelstrand that I don't even know where to begin. First and foremost - thank you for sharing this space with me and making it a bit more beautiful with your awesome ads. I enjoy all your products, and I enjoy the feedback I am getting from my readers concerning the quality of your products. Please, take a moment to get to know them, like them on etsy and go through their shops - almost all of them are having fabulous sales right now and you might get a good bargain on quality eco-friendly goods. Although I learned to knit very young around 5 or 6 years old, I did not become "a knitter" (someone passionate about the craft) until my mid thirties. About two years ago I discovered natural fibers and now knit with nothing else. These fibers can be expensive however and people may shy away from them. That is why I began my Etsy shop. I make accessories that use less yarn so they will be more affordable and more people will discover these fibers. My motto is "everyone deserves a little luxury". Buying socially and environmentally responsible is also very important to me. On my search for natural fibers I discover wonderful companies, big and small, who are working hard to empower women. Any small thing we can do to reduce poverty and illness particularly for the children of the world is very important to me. People who produce natural fibers are also concerned with the environment, how to properly treat the animals, how to produce and dye wool with fewer or no chemicals, using plants to create yarns. These are the topics that I discuss on my blog. I am at the very beginning of this experience, but would quit my day job today to devote myself to this full time! Stay at home dad working with reclaimed wood, handcrafting heirloom quality home decor and furnishings. Never had a clue when I was younger that I would end up as a woodworker. Started part time 16 years ago and went full time April 2011. Our shop creates unique earth friendly home decor ranging from simple wall shelves to entertainment centers. Pictures frames 8x10 up to 28x22, and a few even bigger. Each piece will have it's own unique character from it's previous use. Nail holes, knots,knot holes and imperfections are just a few of the characteristics our products have. 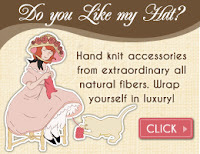 Coupon code FALL2011 gives you 10% off your entire order. I started my creative career 15 years ago as a sterling sliver jewelry designer. About 5 years ago I decided I wanted to create a new collection that was young, hip, and affordable and Additions was born. All my pieces are created with recycled and upcycled hardware. My goal is to create pieces that are unique and easy to wear. That is why I experiment all the time to come up with new ways to add color, texture, and designs. My Etsy shop has a variety of pieces to suit many styles. I have pieces that are unisex, and will look great on a man or women. Several pieces have beads for the person who want more feminine styles, and some pieces have little establishments showcasing the wonderful variety of hardware available. The process of creating my new collection inspired my blog. My blog focuses on inspiration, creativity, and business. I am working towards building a community of artistic individuals to inspire each other on our creative journeys. Coupon code KANE15 will give you 15% off entire order. Simple. Gentle. Natural. That's what I strive for in all of my products. Handmade cold-process soaps, lip balms, laundry detergent and more. I make them all myself in small batches using only quality natural ingredients. From our farm to you! With coupon code LFN15 you get 15% off your entire order until the end of November. Veronica is a Seattle based designer, small business owner, wife and mom. My small company specializes in creating wall decals for contemporary interiors and baby nurseries. Our decals are only original, made here in the USA and we are proud to offer some of the best quality decals on the market. Hope you enjoy! Coupon code 10CHERRY gives you 10% off your entire order. Welcome to the world of vibrant colors where glass, natural seeds and earthy stones are mixed together to give you a stunning unique handmade jewel full of love! Women can be beautiful and respect the planet Earth by using all natural eco-friendly jewelry. Most of my beads are from Africa. Add a beautiful eco-friendly African fabric gift-wrapping or jewelry pouch to your purchase! Use coupon code ECOJEWELRY to get 10% off your entire order. If you are looking for wedding or bridesmaid jewelry with a dash of colors, look no further. From pearl cluster bracelets to colorful gemstone earrings, I offer a wide variety of designs and colors for you to choose from that are suitable for any weddings and other occasions. Seriously, I have like over 100 pearl colors and can be mixed into a million different color combinations! Wear something in color today and feel good about yourself. :) Use coupon code KANEL10 gives you 10% off your entire order! My name is Meeling and I'm a foodie. I love to cook but more importantly I love to eat! I come from a food background of Dutch influence with a little Indonesian thrown in for good measure. I love to try new foods and have had the opportunity to travel and experience some great local flavors. Good food and wine are some of the best enjoyments in life. I hope you'll follow along with me as I share some of my food experiences with a little bit of life thrown in! I work part time and am able to bring my children with me to work. I have 2 wonderful children - Katlynn, 3, and Ryan, 9 months - and an awesome husband. I really enjoy making pretty accessories, tutus, and home decor. I make some of my products from upcycled material (I mention in the product description if the product is made from upcycled material). I also enjoy making custom orders for my customers. I first fell in love with vintage in the tenth grade, when my poor put-upon father dragged me down to the local Salvation Army store so that I could get my very own 'boyfriend blazer', and hopefully quit stealing his. I think he was tired of having the sleeves wrinkled from being rolled up, and of finding stray candy wrappers, lipsticks, and tampons in his pockets. I remember being awestruck by the racks and racks Lawrence Welk style gowns, polyester double knit separates, and fabulous, funky accessories. I'm pretty sure my father had to drag me out of there after well over an hour. I did have my very own menswear blazer when I left, though. I remember it was a subdued grey check, and smelled faintly of old man and moth balls. I was hooked. Now I scour Nashville and the surrounding area for unique vintage goodies that I can share with the world. I find it really gratifying when someone else, maybe even someone on the other side of the world, recognizes the same greatness I did in a quirky jacket, a dainty pair of shoes, or some well loved old boots. I've also been a bit of a tree hugger for about as long as I've been a vintage lover, so being in the business of 'fashion recycling' is something I feel proud of. With coupon code KANEL10 you get 10% off your entire order. Myra is the Chief Makeup Developer and owner of HerbanLuxe. She learned how to craft makeup while growing up in Puerto Rico with the guidance of her abuela who was an herbalist. She grew up in an environment where everything we needed could be gotten from the backyard, literally – including makeup. About 10 years ago it became a business. In 2007, she appeared on the Oprah Winfrey Show as a finalist in her search for the next big idea. In 2009 she sold her business AND NOW caters to her favorite group of people, savvy Etsy shoppers who appreciate all that goes into making anything handmade. Adrienne Audrey Jewelry is a collection of handmade jewelry and accessories hand crafted by Adrienne in her home studio in Washington State. The colorful and feminine collection is inspired by nature, fairy tales and uses materials such as lace and beads. When Adrienne is not working on new jewelry designs you can find her blogging over at Crafty Little Gnome where she shares fun projects for the home and garden. Coupon code KANEL20 will give you 20% off everything you buy in Adrienne Audrey jewelry shop. Thanks to all amazing Kanelstrand sponsors for another month of creative collaboration and generous discounts! All funds raised by the ads go back into spreading the word about handmade and green living, and promoting the Kanelstrand blog. What a wonderful post featuring all your sponsors!